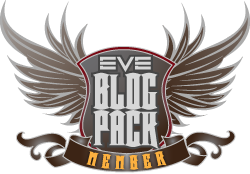 Absolutely essential if you have an Android phone and multiple Eve accounts. Keep track of who's training what, time left in skill plan (nice red lettering on the timer when you are under 24 hours left in the skill queue) and how much wonga you have to spend on shiny ships. Technically it does more but that's all I use it for! A Windows program to keep track of skill training and also to help you make skill training plans. Want to be sat in an Avatar class titan ASAP? This program will help you find the fastest route. It can optimize your plans for neural remapping etc. A ship fitting tool for Eve Online. Import your character details through the API, fit your ship, see if it works to start and then see what its DPS and tank is like, then tinker! Then when you've created your perfect ship, log into Eve, buy the ship and the modules, undock and then DIAF horribly. EFT will give you the stats, it won't tell you if you've just made a lolfit! Want to know what is selling for how much and where? This website will let you know what's selling for what and where. Your needs fulfilled! The star map in Eve can be a real PITA to use. This pdf version lays it all out flat. Literally! Whilst the 2-D maps are great, if you want to know more details on a system use this site. Up to data such as player and NPC kills in the last day/48 hours, pod kills, sovereignty changes etc. Mmmmm I wonder if my carrier can actually jump from X to Y. And if it can, how much fuel would I need? Well wonder know more. This site is a jump planner for cap ships and others fitted with a jump drive such as jump freighters. Add in your skill levels for the appropriate navigation skills and this website will tell you what you need to know! And if you cannot make it in one jump, it'll provide you with a route! Never have a fail jump again! However, please note that it simply selects a mid point system if you need to make two or more jumps, it doesn't think "Well that's a very PvP active system, probably not the best idea to light a cyno there!" Whilst not technically an Eve specific app, this voice program is the mutts nutts and so much better for a social corp than Eve voice. I use Typefrag as my server provider. Oh and if you are on voice comms, please, please, please invest in a decent headset so we can hear you. The don't have to be expensive to be decent.